International Institute of Projects and Program Management (I2P2M), administers various certification examinations such as Certificate in Project Risk Management (CrtPRM), Certificate in Earned Value Management (CrtEVM), Certificate in Enterprise Risk Management (CrtERM) and most popular Certificate In Project Management (CIPM). I2P2M's mission is to equip the project leaders and managers to handle the complexity of tomorrow by acquiring the advanced knowledge conceptual framework and best practices. I2P2M's fundamental belief is that learning or knowing is not enough. Only its application creates value and contributes to meaningful experience to benefit the work place. In a short period of three years, I2P2M has truly become a trend setter in setting up a new benchmark in executive education. 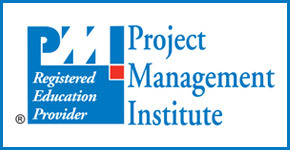 "PMI", "PMP", "PgMP", "CAPM", “PMI-ACP”,"PMBOK Guide" and the PMI Registered Education Provider Logo are registered marks of the Project Management Institute, Inc.